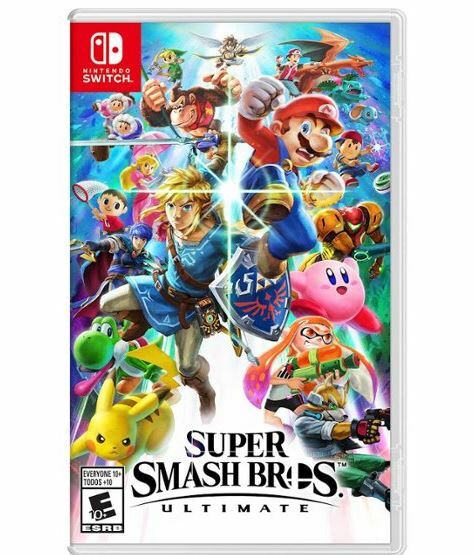 Pre-Order the Super Smash Bros. Ultimate – Nintendo Switch for $59.99 at Best Buy and My Best Buy Rewards Members will receive a $10 reward certificate with their purchase. This is the best price I'm seeing on this game. This will be released on December 7th. You'll also receive a Nintendo – Super Smash Bros. Ultimate Collector Coin – Antique Silver with your purchase. Not a member sign up HERE for free. Shipping is free or you can choose free in store pick up.